Ok, I'm going crazy talking about design. But don't stop me now, I'm just about to talk about one of my favorite buildings. The Denver Art Museum. I went to Denver a couple years ago, and went to the museum. The first time I laid eyes on it I was in love, and that was even before I went inside. The interior just blows me away, but the exterior also blew me away. 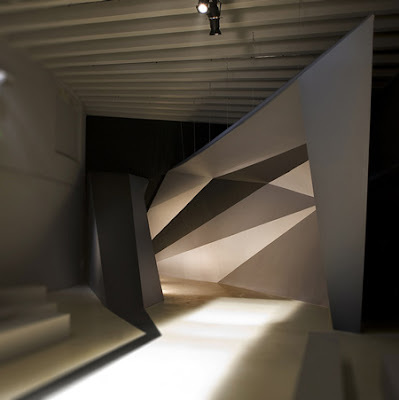 The building is designed by Daniel Libeskind. One of my favorite architects. He thinks outside the box like I, and really is creative with this design process. 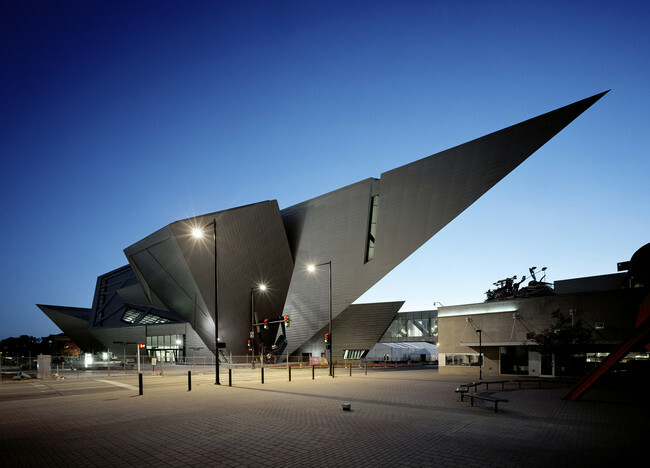 The design inspiration for the art museum was the mountains in Denver. He was commissioned in a competition to design the extension to the museum and the first time flying into Denver to look at the site, he flew over the mountains. Right then and there he pulled out his plane ticket and started sketching. He took his sketches and was able to create some fold-able creation. From there he created all these little models by folding the paper and picked one he liked. Then from the one he picked he started the drawings for the building. If you look closely you can see the fold-able paper, and where the mountains come in. Its so simple his design inspiration but was able to create such an abstract complicated building. Once you enter the building you walk into an amazing atrium and ticket's. The atrium itself gives you goosebumps. You can see right up to the top floor and the atrium circles around with the stairs going up each floor. Each and every floor is designed differently and it all flows wonderfully. One thing I hate about museums is the flow and way you walk around. I hate when you walk around and leave and then realize you missed a whole section. While it is easy to do that in this museum, if you follow the flow the way you are supposed to you wont get lost at all. The design has all the tilted walls as well, and they were able to come up with a great way to hang the peices. The architecture it's self not just outside but inside is a piece of art itself. The placement of other stairs, and walls and the shape of each gallery is so thought out and works wonderfully. If anyone is ever in Denver, I HIGHLY suggest this museum. If you go though make sure to be paying attention to the architecture. Sometimes I don't think people who are not into architecture like me or others realize how amazing and beautiful it can be. Pay attention to little things like the way the floor connects to the wall, the way the walls can lead you in a direction, the lighting, the list can go on. Just walk around a space and look at the design, it all has a reason. 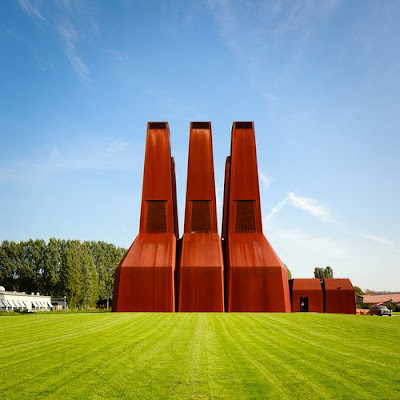 Most of the time when you look for these things you see them, and unless you are looking closely you wont be able to discover the amazement and beauty that is Architecture. Below are pictures I took when I visited last year.